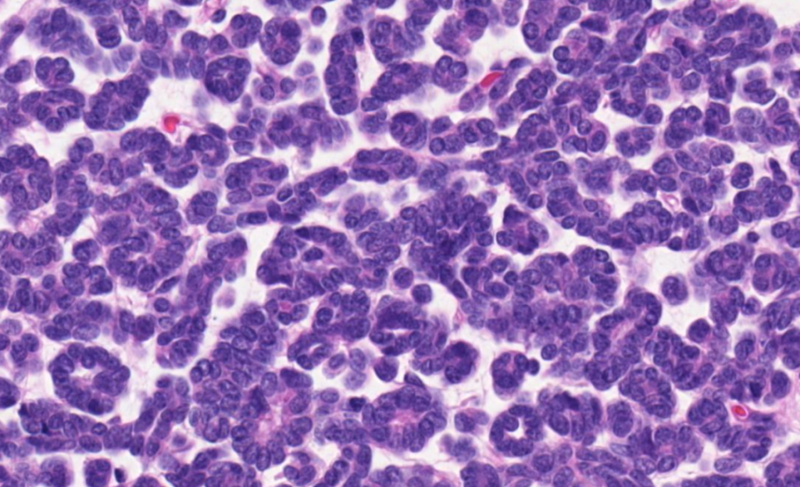 Histology: Non-encapsulated well-circumscribed tumor composed of small closely packed tubules of tumor cells with small or inconspicuous nucleoli and scant cytoplasm. 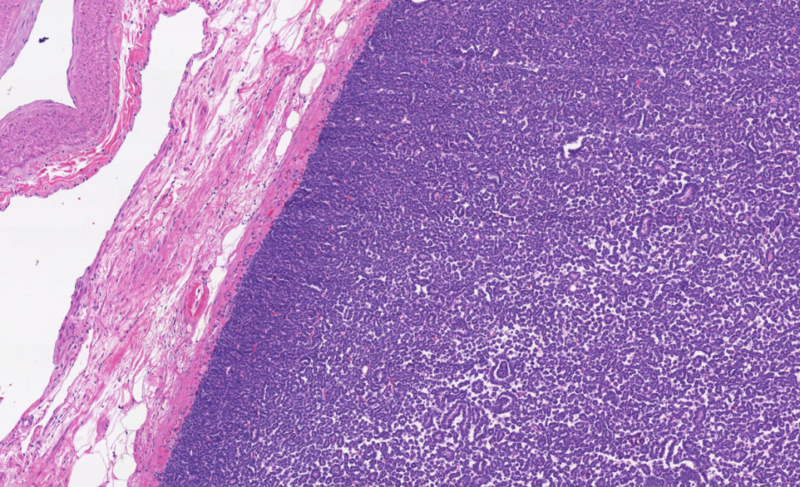 Discussion: Metanephric adenomas are pure epithelial tumors of the metanephric tumors family that includes metanephric adenofibromas and metanephric stromal tumors. These tumors are more common in middle age women. They are usually solid but can have cyst formation or become hemorrhagic when larger. The cells are very uniform with very scant cytoplasm and arranged in small tubules or glomeruloid structures. There is no atypia and mitosis, if present, should be rare. 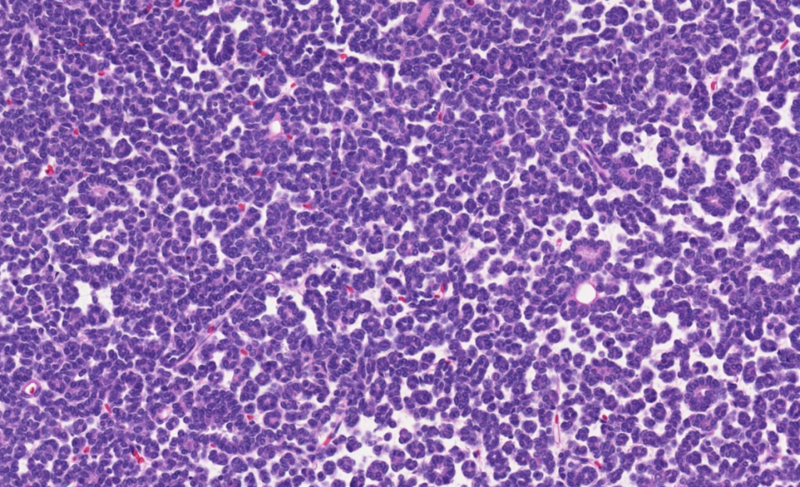 Psammoma bodies can be seen. 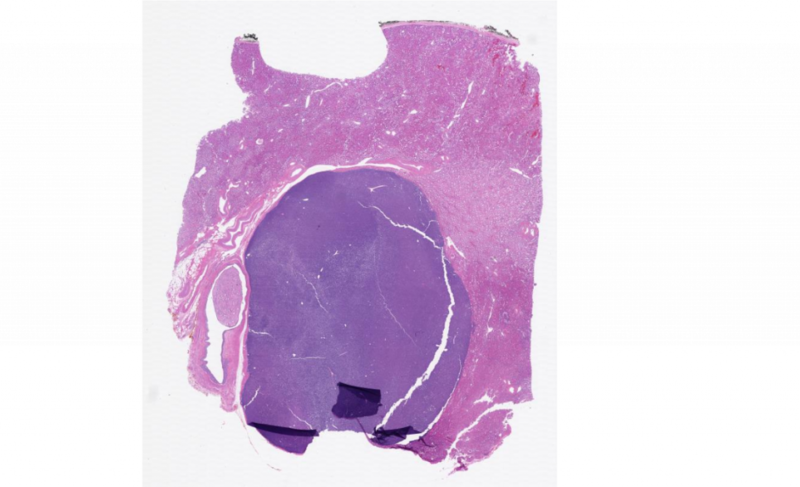 By immunohistochemistry, tumor cells are positive for WT1, CD57 while negative (or mostly negative) for CK7. CK7 and WT1 can be used in the differential diagnosis with solid variant of papillary RCC. BRAF mutation is very frequent in metanephric tumors.